Mahindra XUV500, the latest vehicle in the SUV segment is the one to watch out for as Mahindra & Mahindra is offering many world class features that too at a very competitive price.In our car comparison series on Car Blog India, we have already compared the Mahindra XUV500 with one of the popular cars Toyota Innova and the next contender which steps into the ring is the very first Indian crossover from Tata, the Tata Aria. Mahindra has always been more towards commercial vehicles but after the launch of the XUV, they proved to have all the capabilities of a good premium car manufacturer. The XUV amazes you at the first glance and the looks are full of aggression. The sharp and bold headlamps with led, innovative grille, huge flared wheel arches, sporty fenders and a nice roof line are some of the details that the car offers.The body lines are great and the one distinguishable part is the nice curve which is there above the rear wheel, giving a car with an extra feel of sportiness. 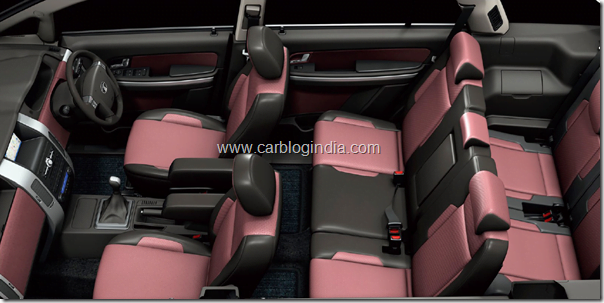 The Tata Aria, one of the most hyped cars, is the first Indian crossover is a blend of a station wagon and an SUV. The built is huge and the highlighting features on the car include full chrome front grille, large aggressive headlamps, mildly flared wheel arches, fog lamps, etc. The built of the Aria is quite unique and this makes it stand out from the rest. Aria is a crossover and looks more like an estate version that is why it is significantly longer and in overall length and wheelbase giving you plenty of space on the inside. 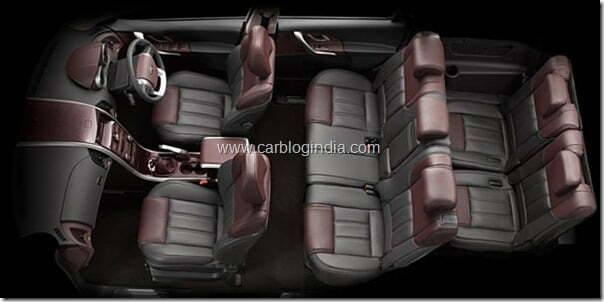 Having an element of SUV it is not short enough and sits at par with the XUV and also the width of the two is same. Now going by the looks both have their own charm but since the XUV is new and more aggressive looking car, I would go with it. The XUV’s dashboard design, AC vent positioning, central waterfall design cluster, instrument cluster are quite sporty and the dual tone colour theme adds a lot of feel to the interiors. The interiors have been designed with utmost sincerity, though the plastic quality isn’t exceptional. Feature wise one would get Laptop storage compartment in the glove box, conversation mirror and sunglass holder, voice command activated control, a 6 inch touchscreen infotainment system with GPS navigation and iPod connectivity, 6 airbags, steering mounted buttons for audio control and Cruise Control, ABS with EBD, ESP with rollover mitigation, Hill Hold and Hill Descent control, foldable 2nd and 3rd row seats, premium leather upholstery etc. Space is again not a problem for it as there is plenty of space for 5 passengers but when converted to a 7 seater, leg space for the 2 persons at the back becomes less. 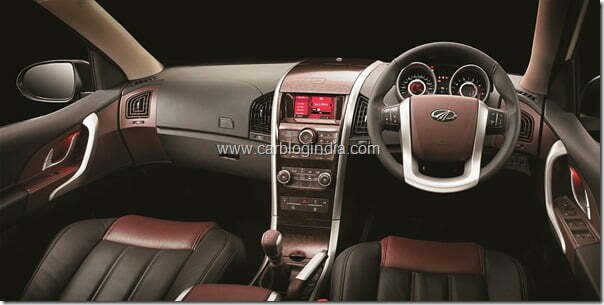 Tata has leaped years in the future with the Aria as it gets a better and very contemporary design. The much use of dual colour tone has given the car an exceptional feel. The AC vents, glove box, central instrument cluster look very elegant and have an aroma of good quality. Some of the features include GPS navigation system, Automatic climate control, ABS with EBD, ESP with TCS, 6 airbags, Immobilizer, all disc brakes, audio system with USB, AUX in connectivity, Blue 5 Bluetooth pairing connectivity(5 devices), reverse guide camera, cruise control, roof storage and goggle cases, rain sensing wipers and darkness sensing headlamps, etc. In terms of space it is definitely better than the XUV as it has a longer wheelbase, meaning more space even for the rear passengers. Both the cars equip a similar 2.2 Litre engine. The Tata’s engine produces 320 Nm of torque and 138 BHP of power and delivers a mileage of 13.5 KMPL. The XUV’s heart pumps out 330 Nm of torque along with 140 BHP of power that too with a breathtaking mileage of 15.1 KMPL. So the XUV is any day better than the Aria. The XUV has a better engine both in torque and power and the driving dynamics of this car are also impressive as it does well both on straight roads and sharp bends. The Aria is also quite good on the turf and has good handling handling characteristics. Since the XUV has only three variants we will compare there nearest ones only. The Aria Pure comes with ABS EBD, disc brakes, audio system with 6 speakers, and aux in and USB support, dual AC, rear wash wipe and demister, roof storage and goggle bins, electrically adjustable outside mirrors, black and beige interiors with wood inserts, chrome inside door handles, rear fog lights, chrome on windows, etc. 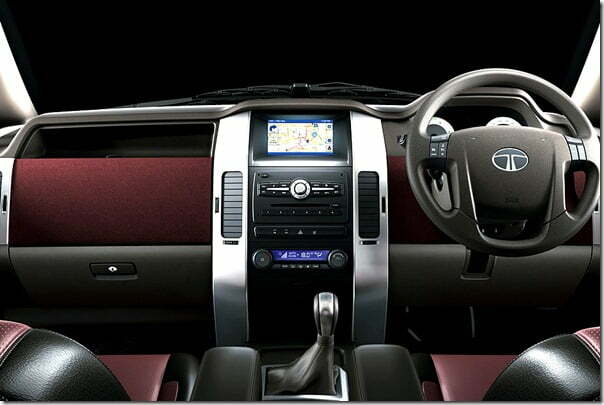 The XUV offers 6 inch touchscreen infotainment system, 6 airbags, alloys, ESP, Traction control, telescopic steering etc. All in all at just Rs. 35,000 more you can get almost all features in the XUV W8 4×2 than the Aria Pure base. Here again the XUV is ahead as it would offer all the features, including some extra ones, at a fairly low price of 12.88 Lakhs where as the Aria is still way ahead in terms of pricing and considering the features and looks it is not inviting at all. The XUV is better in terms of driving, features, power and pricing and therefore there is no doubt one would opt for the XUV over Aria. The Aria is a good car slightly more spacious at the rear but the number of features, at corresponding prices are really less and cannot be compared with the XUV. 6000 Mahindra XUV500 Booked In 2 Days – Waiting Period Beyond 2 Months Already!